The Society of Composers, Inc. CD Volume 32, titled Flare, will be released on August 10, 2018 and will be available on Amazon Music, iTunes, Spotify, Apple Music, and more. 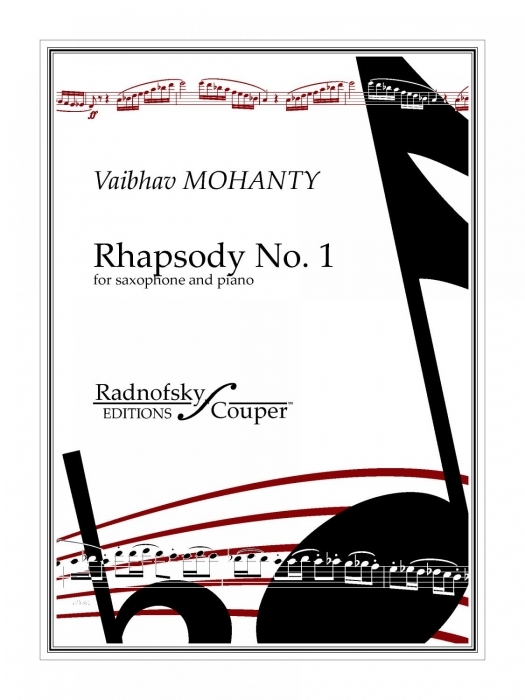 The CD will feature Vaibhav and Jake Tilton's recording of Rhapsody No. 1 for alto saxophone and piano. Click here to learn more. Rhapsody No. 1 was be performed at the Society of Composers, Inc. 2018 National Conference in Tacoma, WA on March 3, 2018 and at the 2018 North American Saxophone Alliance Conference on March 10, 2018 in Cincinnati, OH. Rhapsody No. 1 is now available for purchase from Radnofsky-Couper Editions! Altitude was performed at the Society of Composers, Inc. 2018 Region III Conference in Newport News, VA on March 25, 2018. Altitude (scores and parts) is available for purchase from Lighthouse Music Publications and Sheet Music Plus. Reporting a performance: If you would like to report a performance to be featured on the Performances page, please submit them via this form. Thank you!